The Abaqus FEA software suite offers powerful and complete solutions for both routine and sophisticated engineering problems covering a vast spectrum of industrial applications. Best-in-class companies are taking advantage of Abaqus Unified FEA to consolidate their processes and tools, reduce costs and inefficiencies, and gain a competitive advantage. 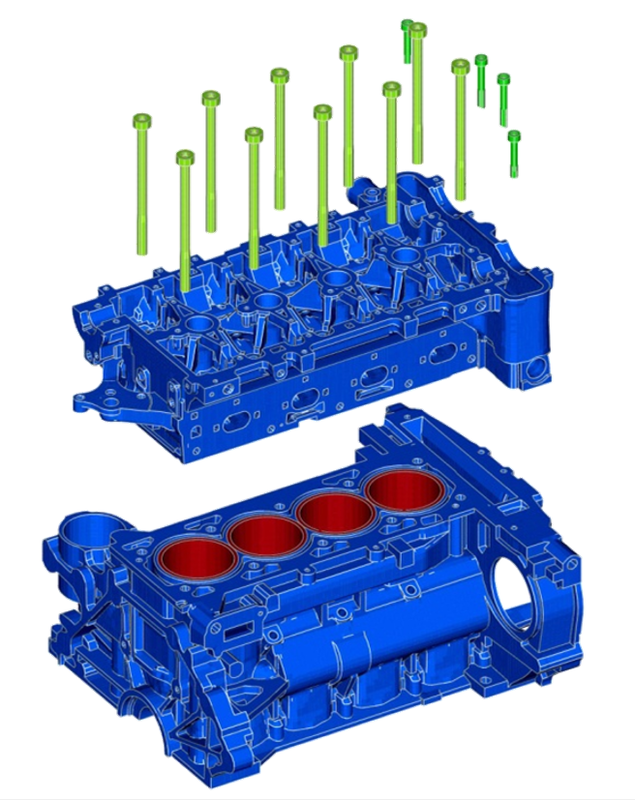 Abaqus offer three different solver technologies. Abaqus/Standard for simulation of static and low-speed dynamic events, Abaqus/Explicit for simulation of severely non-linear and high-speed dynamic events, and Abaqus/CFD for simulation of computational fluid dynamics. All three solvers use the same type of licensing tokens, leading to an extremely flexible and cost efficient solution including solvers for all types of simulations. The Abaqus software suite also include Abaqus/CAE, a complete environment for modeling, visualization, and process automation. With Abaqus/CAE you can quickly and efficiently create, edit, start, monitor, diagnose, and visualize advanced simulations. Abaqus/Standard employs solution technology ideal for static and low-speed dynamic events where highly accurate stress solutions are critically important. With Abaqus/Standard the simulation can include non-linear physical behavior, such as non-linear elasticity, plasticity and contact. Abaqus includes an extensive library of material models such as metals, rubber, polymers, composites, concrete and ceramics. Abaqus/Standard offers robust, easy-to use algorithms for contact simulations. Both general contact and contact pair approaches are available. The general contact algorithm allows for a highly automated contact definition, where contact is based on an automatically generated all-inclusive surface definition. Contact behavior can include friction and contact damping. Within a single simulation, it is possible to analyze a model both in the time and frequency domain. For example, one may start by performing a nonlinear engine cover mounting analysis including sophisticated gasket mechanics. Following the mounting analysis, the pre-stressed natural frequencies of the cover can be extracted, or the frequency domain mechanical and acoustic response of the pre-stressed cover to engine induced vibrations can be examined. Abaqus/Standard is supported within the Abaqus/CAE modeling environment for all common pre- and postprocessing needs. The results at any point within an Abaqus/Standard run can be used as the starting conditions for continuation in Abaqus/Explicit. Similarly, an analysis that starts in Abaqus/Explicit can be continued in Abaqus/Standard. The flexibility provided by this integration allows Abaqus/Standard to be applied to those portions of the analysis that are well-suited to an implicit solution technique, such as static, low-speed dynamic, or steady-state transport analyses; while Abaqus/Explicit may be applied to those portions of the analysis where high-speed, nonlinear, transient response dominates the solution. The ability of Abaqus/Explicit to effectively handle severely nonlinear behavior such as contact makes it very attractive for the simulation of many quasi-static events, such as rolling of hot metal and slow crushing of energy absorbing devices. Abaqus/Explicit is designed for production environments, so ease of use, reliability, and efficiency are key ingredients in its architecture. Abaqus/Explicit is supported within the Abaqus/CAE modeling environment for all common pre- and postprocessing needs. The results at any point within an Abaqus/Explicit run can be used as the starting conditions for continuation in Abaqus/Standard. Similarly, an analysis that starts in Abaqus/Standard can be continued in Abaqus/Explicit. 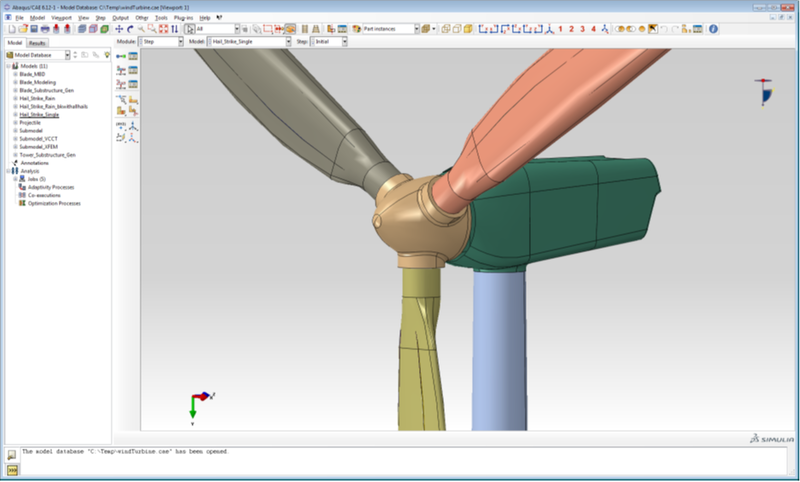 The flexibility provided by this integration allows Abaqus/Explicit to be applied to those portions of the analysis where high-speed, nonlinear, transient response dominates the solution; while Abaqus/Standard can be applied to those portions of the analysis that are well-suited to an implicit solution technique, such as static, low-speed dynamic, or steady-state transport analyses. Abaqus/CFD provides advanced computational fluid dynamics capabilities with extensive support for preprocessing and postprocessing provided in Abaqus/CAE. These scalable parallel CFD simulation capabilities address a broad range of nonlinear coupled fluid-thermal and fluid-structural problems. Internal or external flows that are steady-state or transient, span a broad Reynolds number range, and involve complex geometry may be simulated with Abaqus/CFD. This includes flow problems induced by spatially varying distributed body forces. Problems that involve heat transfer and require an energy equation and that may involve buoyancy-driven flows (i.e., natural convection) can also be solved with Abaqus/CFD. This type of problem includes turbulent heat transfer for a broad range of Prandtl numbers. Abaqus/CFD includes the ability to perform deforming-mesh analyses using an arbitrary Lagrangian Eulerian (ALE) description of the equations of motion, heat transfer, and turbulent transport. Deforming-mesh problems may include prescribed boundary motion that induces fluid flow or FSI problems where the boundary motion is relatively independent of the fluid flow. With Abaqus/CAE you can quickly and efficiently create, edit, monitor, diagnose, and visualize advanced Abaqus analyses. The intuitive interface integrates modeling, analysis, job management, and results visualization in a consistent, easy-to-use environment that is simple to learn for new users, yet highly productive for experienced users. Abaqus/CAE supports familiar interactive computer-aided engineering concepts such as feature-based, parametric modeling, interactive and scripted operation, and GUI customization. Users can create geometry, import CAD models for meshing, or integrate geometry-based meshes that do not have associated CAD geometry. Associative Interfaces for CATIA V5, SolidWorks, and Pro/ENGINEER enable synchronization of CAD and CAE assemblies and enable rapid model updates with no loss of user-defined analysis features. The open customization toolset of Abaqus/CAE provides a powerful process automation solution, enabling specialists to deploy proven workflows across the engineering enterprise. Abaqus/CAE also offers comprehensive visualization options, which enable users to interpret and communicate the results of any Abaqus analysis. 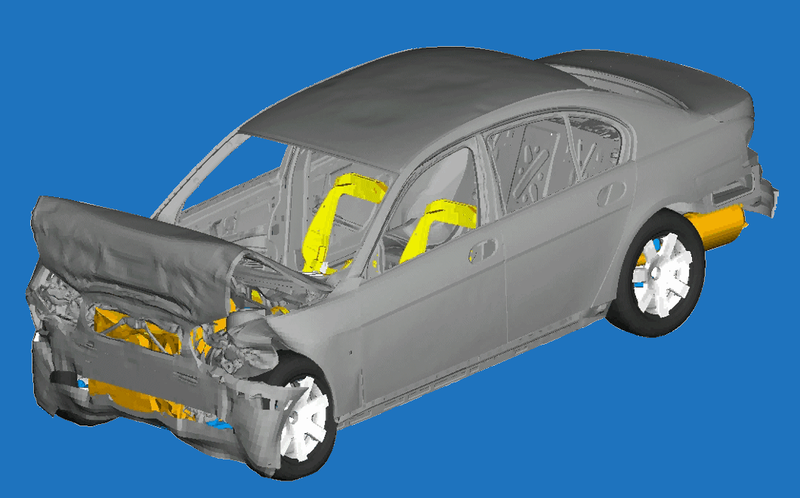 Want to learn more about the features in SIMULIA Abaqus and our pricing-models?